Maximize your shooting dollar with Fiocchi. Big performance without the price to match. 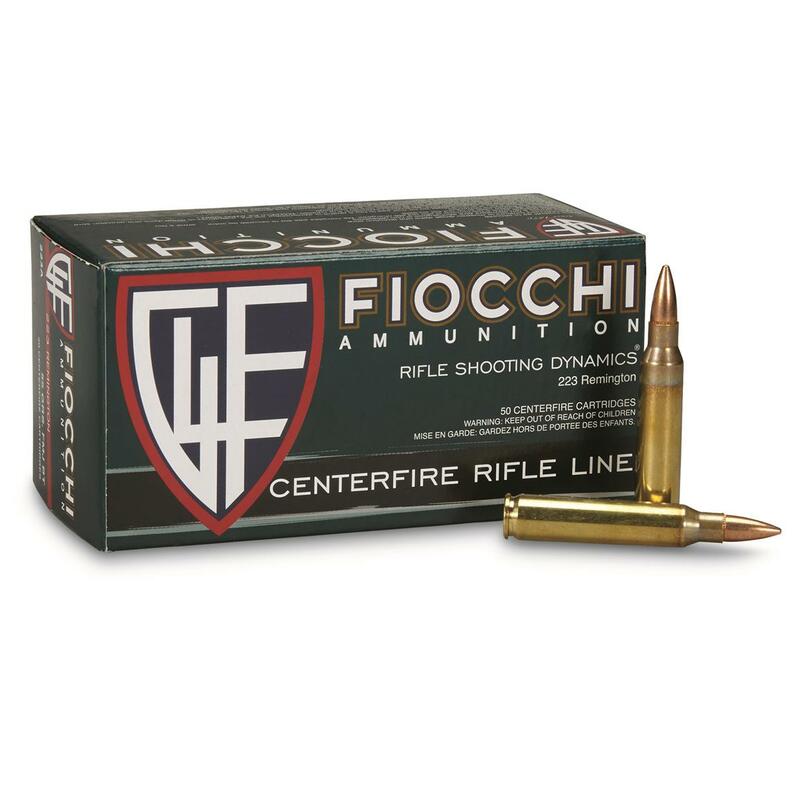 Fiocchi, .223 Remington, FMJBT, 55 Grain, 50 Rounds is rated 4.9 out of 5 by 60. Rated 5 out of 5 by Ratch 42 from Great Price Fiocchi is high quality ammunition !! I trust my life on knowing there will never be a misfire with Fiocchi ammnition !! Sportsman Guide always has great sales on all ammunition .. Rated 5 out of 5 by Henry from Good Ammo. Very happy with this ammo. Rated 5 out of 5 by Capt mike from Reliable Steady grouping And cycles every round flawlessly.. great price also is a plus. Ammo shoots better than some other brands i*ve shot at the range.. highly recommended,!! Rated 5 out of 5 by Keith from Best Price and Super Fast Delivery Sportsmans Guide had the best price and the delivery was so rapid that not being able to find a comparable price or selection locally was not an issue. SG also beat Cabelas and other online prices and shipping costs. I chose Fiocchi becasue the price is good and ratings for consistency beat the others. I will avoid the POLY-Tipped ones though. The tip can come off and jam up the workings of an AR. Stick with hollowpoints of FMJ. Rated 5 out of 5 by GaryH from Good Ammo Fiocchi is one of my favorite brands of ammo in all calibers and this .223 fmj is no exception. It's clean and reliable.